Multitasking. Buzz word of recent times and yet, seemingly, when talking ‘tech time’, ages old too. And it’s the zeitgeist of the smart-device in an era where all is contained within a single entity – one ring to rule them all. This new ‘functionality culture’ permeates into other areas of technology where apparent simplicity belies the power of the single device that… encompasses the paradox delivering complex tasks… a multitude of complex tasks. 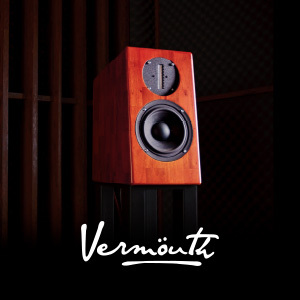 So the last few years has seen many audio manufacturers adopting technologies which expand the functional capabilities of our hi-fi systems while embodying in singular units. The Devialet amplifiers, in all their gorgeousness in design and relatively compact size, offer a stream of digital technologies while also combining amplification circuits that, at least in part, hark back to the early days of hi-fi. With Devialet’s culture of expanding product lines and the coincidence of upgraded power and speaker driveability, the Expert line has hit the market with a selection of amplification and digital solutions aiming to provide the highest level of audio quality in a form factor that can only be described as undeniably, and universally, striking. So here for review we have the dual mono-configured Devialet Expert 440 Pro (2 x monoblocks in this instance but a single unit set to stereo can also be used) which serves as your digital and analogue source hub while providing, via its hybrid amplification circuitry, a powerful instrument for transducer control. And control is the key word here. Devialet has developed its own hybrid amplification which combines a Class-A amplifier providing voltage amplification with the circuit’s paralleled Class-D section thumping the current grunt in order to master the vagaries of your speakers’ impedance and efficiency deviations. 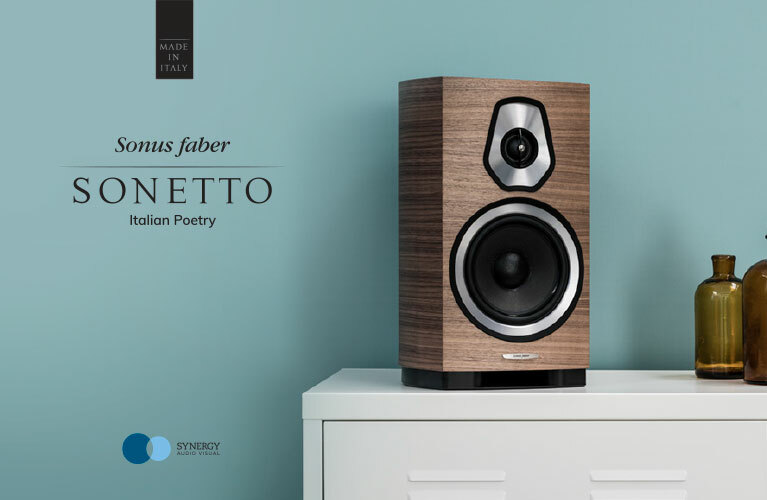 This unique Devialet hybrid circuit is superbly engineered to provide exceptional speaker driving capabilities through high damping factor (quoted as a very high 8000), extremely low output impedance (1 milliohm across bandwidth!) 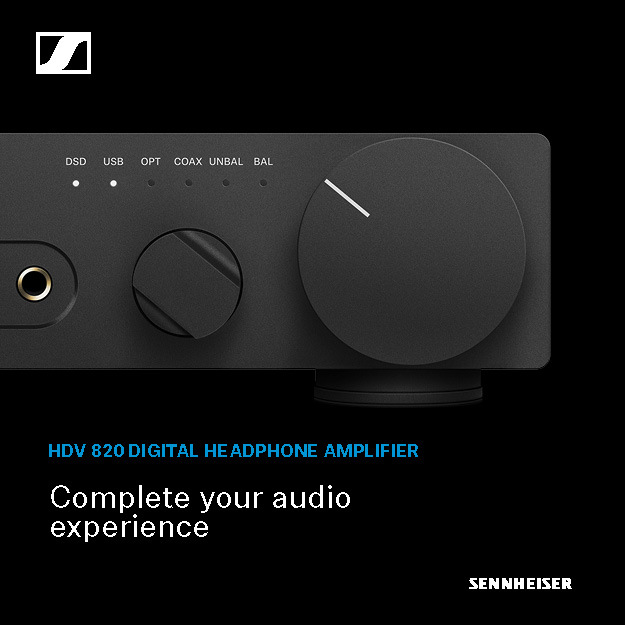 and low speaker impedance tolerance while operating at an outstanding 0.00025 percent Total Harmonic Distortion (THD) with a superb signal-to-noise ratio (SNR) of 133dB. 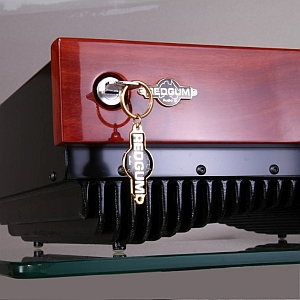 The Class-D amplification operates at 1.6MHz keeping switching noise way out of the audio band. Devialet specifies the Expert 440 Pro as being capable of outputting, as the model name states, 440 watts. This is into 6 ohms which is somewhat of a deviation from the generally universal 8 ohms rating although possibly a more realistic figure given your average speaker’s impedance curve oscillations through the bandwidth. So, enter here multitasking. The Expert 440 Pro is also a top-notch, highly engineered preamplifier, digital-to-analogue converter, music streamer and, to boot, has a built-in phono stage. 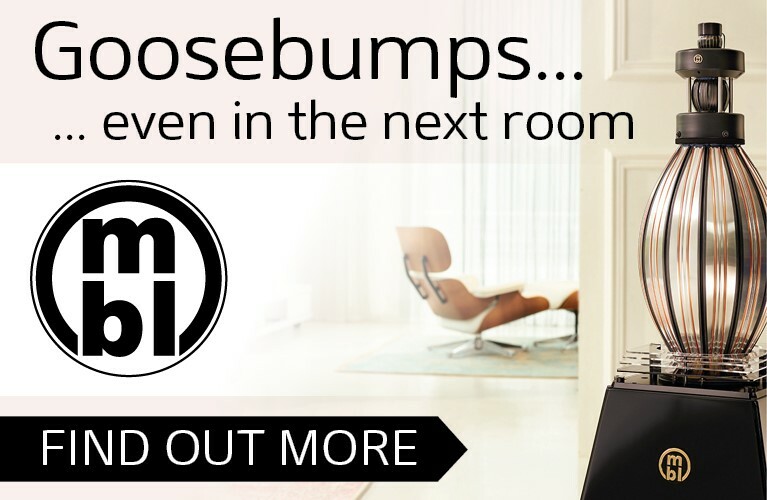 And as if that wasn’t enough, Devialet has developed SAM (Speaker Active Matching), a digital signal processing algorithm which studies your speakers’ specifications and drivers (over 700 speaker models have been profiled) to optimise their acoustic outputs in real time while also correcting for time, crossover and driver errors/distortions. SAM is user-adjustable with options of varying correction levels or bypassing. Devialet calls its in-built DAC ‘Magic Wire’ and here the claim is the shortest signal path ever achieved, a mere 5cm. This is said to be the distance between DAC and speaker outputs and it’s claimed to avoid distortions and noise in the digital signal’s path. The DAC chips are stated to be from the stable of Texas Instruments’ 179 series, a well-respected series of DAC chips. The streamer function of the 440 Pro is via ‘AIR’ (Asynchronous Intelligent Route) another dedicated Devialet technology. AIR allows streaming through Ethernet or wirelessly via Wi-Fi at up to 24-bits/192kHz. This, of course, accepts files from NAS drives, etc. and allows direct streaming from smart devices such as smartphones, tablets, PC or Mac, etc. in all formats. Asynchronous BitPerfect mode is said to stream in “audiophile grade” quality without digital losses. In our experience, although this was not the principal method of auditioning used, the system functioned flawlessly without stutter or latency. Finally, the preamplifier section features a high quality MM/MC phono stage which Devialet titles RAM (Record Active Matching). It basically uses computing power to provide a huge variety of cartridge loading combinations to suit any analogue set-up. These can be accessed via Devialet’s online configuration tool (which also allows full system set-up). 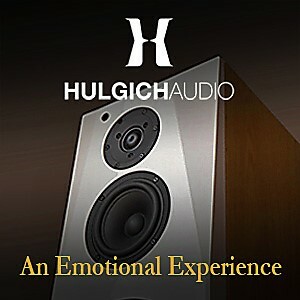 Also provided are EQ curves and adjustments to further aid full potential vinyl playback. Ground noise measures are also provided by the circuit – negating the use of a fly-lead into a ground post – while variable sampling rate output at up to 24-bit/192kHz allows ‘digitising’ of records for those users so inclined. Connectivity as provided includes a battery of digital inputs (S/P-DIF and one AES-EBU), TOSLINK optical, USB, Ethernet and a phono/line inputs. An SD card slot allows set-up and firmware updates. Speaker binding posts are the clear plastic sheath, a la WBT, while last is an IEC socket. A removable cover which forms an extension of the top panel allows easy access to the connector bay. Overly fat aftermarket AC power cables may be somewhat difficult to fit in depending on their circumference but sensible cables will have no issues. And that just about wraps the features list in a very concise and brief way. Much has been written about these extraordinary amplifiers’ advanced technologies and engineering since the company hit the market a few years ago. But how do these Expert 440 Pro amplifiers actually perform within the context of a challenging high-resolution speaker system such as my reference Wilson Audio Alexia? At this juncture and just prior to the performance descriptions, I would have to mention both the units’ and the remote control’s design and build quality. The hand-finished chrome patina of the amplifiers – the chassis are milled from a solid piece of aluminium – is absolutely flawless while the industrial design is extremely attractive. Devialet provides a set of cotton gloves; this is an absolute necessity as any skin contact will result in finger print marks which, however, can be removed with the micro-fibre cloth also provided. The remote’s feel is one of absolute solidity and the large central control is perfectly balanced with just the right amount of torque. Turning acceleration is reflected in the volume progression too while RF operation ensures control without having to point or lift the remote. Further functionality is provided via the amplifiers’ circular display window on the top panel where a multitude of menus and sub-menus can be viewed in aid of configuring the unit, connect to the local Wi-Fi network, change inputs, etc. The remote can be set-up to switch SAM in and out on the fly. Hooking up the Expert 440 Pro amplifiers is a breeze. A single RCA cable loops out of one of the ‘Master’s’ digital outputs and hooks into the secondary unit’s ‘Chain-in’ input while the speaker outputs are alternate binding posts (first and third posts) for the amplifiers’ mono configuration. The ‘Master’ unit takes preamplification and connecting hub duties. I auditioned the amplifiers via computer audio into the USB input and with a CD transport into an S/P-DIF socket (as mentioned above, I briefly tested the units via the streamer function very satisfactorily). The review ‘Master’ came pre-programmed with the Wilson Audio Alexia SAM profile dialled in at 80 percent which I’m told is the ideal starting point. However, this can be tailored to the users’ taste by changing the SAM percentage (its influence). Starting with ‘un-SAM-ed’ listening showed a set of monos that exercised absolute control over the speakers in a most neutral, uncoloured, undistorted way. This are as faithful-to-the-input-signal amplifiers you’re likely to hear. This utter exactness allows stunning levels of detail and nuance to come through from recordings that feature such subtleties. And there’s a sense of unforced dynamic contrast, as if the amplifiers are always just cruisin’ along with power reserves instantly available at the speakers’ and music’s beck and call. Precision is another word I would use for the Expert 440 Pros’ imaging and soundstaging capabilities. Big recordings like Ani DiFranco’s “Amazing Grace” from the live Living In Clip release or any track from Harry Belafonte’s Live at Carnegie Hall, or Ryan Adams’ “Kim” from Ten Songs from Live At Carnegie Hall all exhibited large sound fields and superb imaging accuracy where performers are solidly placed in massive stages. Belafonte’s renowned stage wanderings are perfectly traced and rendered in a manner that can only be described as realistic. These live recordings also feature very good ambient information that correlates to the sense of being in a large venue with people around you. The Expert 440 Pro amplifiers provide a strong authenticity to this venue acoustic recreation with strong three-dimensional cues that approach that almost impossible goal of total suspension of disbelief. 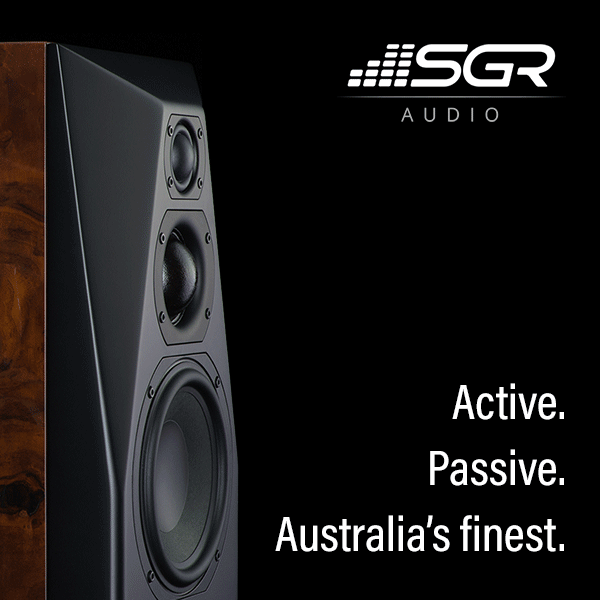 For quite some time now, reports have been circulating regarding SAM’s prowess and ability to transform many speakers’ bass and dynamic performance. 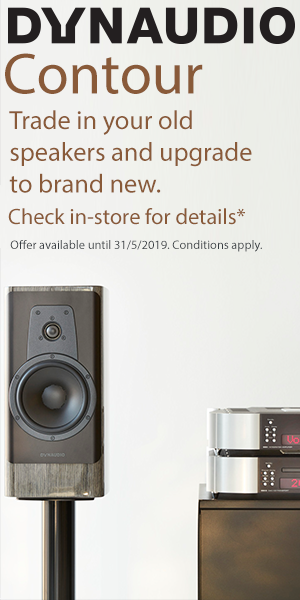 The SAM profiling campaign builds from strength to strength and it’s a commendable incentive from Devialet which is a win/win for both the company – safeguarding loyalty from its customers – and, of course, the end user who gets a potential speaker upgrade for gratis. With our amplifiers’ SAM set to 80 percent, I started the process of evaluating this most interesting feature. My remote control was set-up in a way that allowed on-the-fly switching between bypass and SAM. This was an invaluable option for this reviewer who carefully selected musical content – and also appropriately chosen passages from many tracks – in order to facilitate the discernment of SAM with and without. And within the context of my system the answer would be unequivocally yes – with SAM all the way. Mind you, the differences aren’t devastatingly chalk and cheese, night and day, or whatever cliché paints the picture (again, this is within my system context), however, the variations are nonetheless worthwhile and noticeable every time. With SAM activated, the presentation grows in scale. This is brought about by a deepening of the bass registers while somewhat improving the sense of punch – something that is already a great strength minus SAM. This, of course, provides a beefier, more full-bodied skew to the music. Guitars take a deeper sense of the wooden body, male singers sound more realistically chesty and the piano adopts a denser, more palpable presence. There are subtle benefits in the soundfield too. There’s a definite sense of a larger and certainly deeper soundstage with better image focus and a more open, less congested and slightly sweeter overall presentation. Instrumental lines are somewhat more clearly separated and tonal balance, although still neutral, takes on a milder more relaxed, state. Going back to Ani DiFranco’s album, the track “Crime for Crime” features a section where a double drum hit accentuates DiFranco’s lyrics after they’ve been spoken. The Expert 440 Pro amplifiers clearly separate the two hits (they’re struck within micro-seconds of each other) while providing a very satisfying slam to the gut. This is dynamic music and the amp duo won’t retract from nor reduce the visceral sense of power. Although SAM provides pretty much universal benefits, rock music fares extremely well. Well produced albums such as A Perfect Circle’s Thirteenth Step provides tremendous kick drum power while the beautifully-captured snare in the track “The Noose” is not sweetened in any way while cutting through the mix and snapping tightly without overpowering the vocals. The largess of scale is evident too in orchestral works across the spectrum of styles, composers and orchestra size. Shostakovich’s Piano Concerto № 1, or Beethoven’s Eroica showed the flamboyance and grandeur expected of such powerful works. Yet, solo cello from Pure Cello by Vincent Bélanger was rendered with pure tonality, great instrumental heft and astounding detail. There seems to be a resurgence of high quality integrated amplifiers that have the aspects of audio performance all sown up while also providing essential added features (often in the way of optional plug-in modules) such as a DAC and/or a phono stage. Although purists and traditionalists may sneer at such audiophilic sacrilege, astute enthusiasts and music lovers are aware of the benefits available in terms of cost reductions (less chassis and cable connections) and the potentially insignificant – even non-existent – performance sacrifices. Devialet takes this concept a step further. 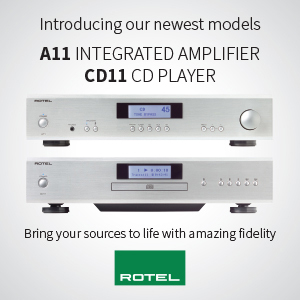 For starters, DACs and phono stages aren’t optional extras – they’re inbuilt out of the box for the price of admission. 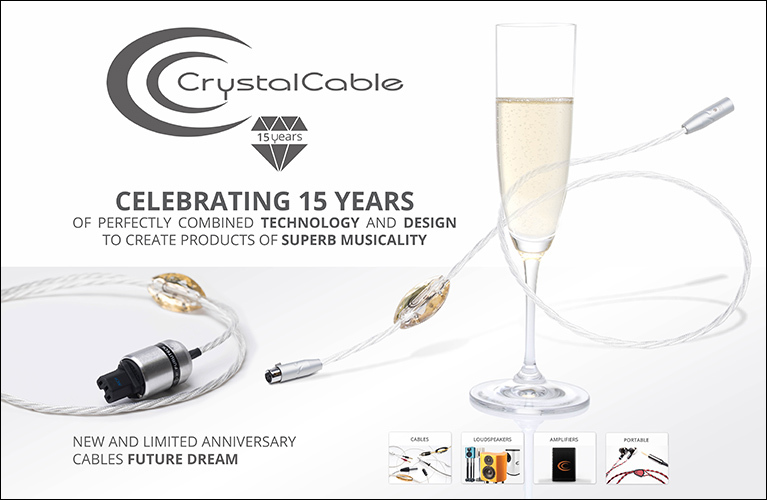 So this is a superbly-engineered and ultra-flexible modern phono stage combined with up-to-the-minute digital-to-analogue conversion technologies which encompass high-resolution playback. Network capabilities, either via Ethernet or Devialet’s Wi-Fi version brings further 21 century functionality. And the ability to start with a single unit and then upgrade to a second one when funds allow – with the resultant power benefits – presents yet another path (never mind the gains from firmware tweaks that may come from time to time). SAM or no SAM if you’re looking for a romantic, sweet sound harking back to the early days of stereo, then look elsewhere. These are thoroughly modern, highly detailed, dynamic and neutral devices that will not editorialise the music’s intent. What you feed is what you get. Pure, simple and truthful… like it or not. But if you care for the precision that can fully flesh out the intricacies of great studio production or the nuances that only a highly-resolving amplification instrument can provide, then the Devialet Expert 440 Pro takes you on an oh-so-satisfying road to the unadulterated truth in your music. And all that with the bells and whistles to cater to our digital age (with a contemporary analogue chaser). Multitasking at its truest and most proficient. Expert level I’d say.